Revitalising your old and out-dated concrete or fibreglass pool has never been so easy, thanks to ABW Liners. ABW Liners specialises in the renovation of concrete and fibreglass pools into vinyl-lined pools, which will not only enhance the aesthetics of your pool but also give it new life. The project featured above is just one example of how ABW Liners can transform an ordinary pool into a striking sight. Custom-designed and built, the vinyl-liner has perfectly suited the homeowners’ needs and provided them with a family-friendly and visually attractive pool that will last them well into the future. ABW Liners also supplied the homeowners with a solar blanket to ensure the pool is energy and water-efficient, and has given them a wide choice of filtration equipment including pumps and filters, sanitisation, solar heating and LED lighting. ABW Liners make it easy because they will measure, make and fit a new vinyl liner for your new pool or pool renovation. Each liner is made to an exact fit of the pool shell, including steps, swim-outs and water features. The company uses a new multi-layered vinyl material which has been developed to provide complete flexibility in the design and construction of your pool. Not only are there very few restrictions to the shape of your pool, but a range of colours and patterns will ensure a striking look. Soft to touch, completely flexible, non-abrasive and extremely durable, a vinyl-liner by ABW Liners can give you up to 30 years of trouble-free pleasure. The liners will also protect you against harmful chemicals, UV rays and also resist algae and fungal growth. The other featured projects above illustrate how ABW Liners can transform just about any pool regardless of shape, design features, positioning or colour request. ABW Liners is a Western Australian-owned and operated company, and has been in business for more than 20 years. 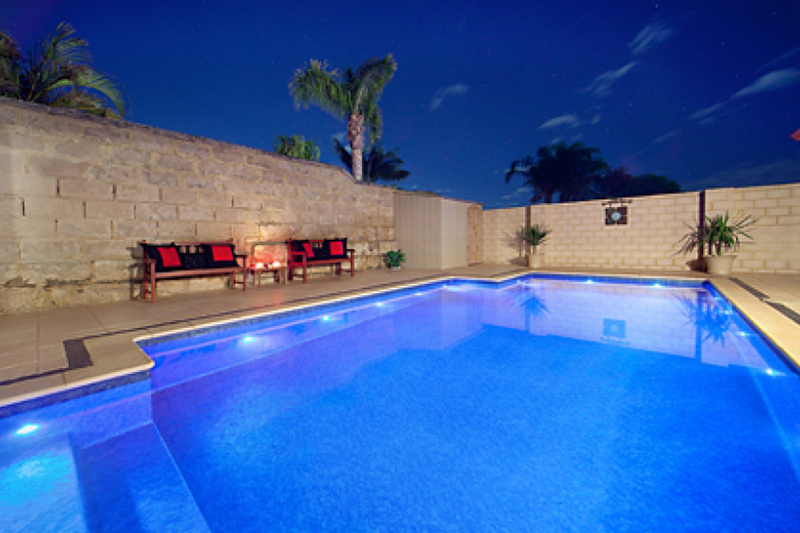 The team will guide you through your project, from initial planning right through to your first swim in your new pool. All pool liners come with a five-year warranty on welds and seams, followed by an attentive back-up service.